Mary Alice Haney worked as a celebrity stylist before beginning her eponymous line, so almost all of her designs are red carpet-level glamorous. 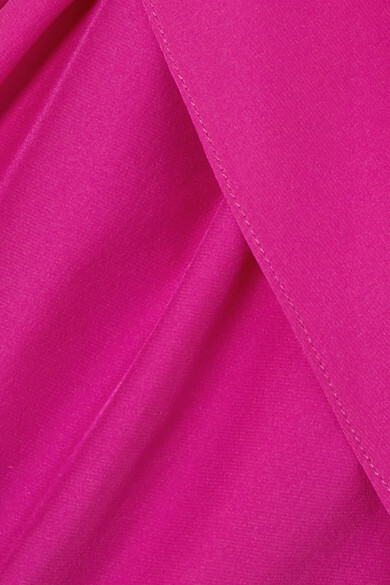 This 'Holly' dress is cut from layers of fuchsia silk crepe de chine with a flattering cowl neckline and wrap-effect skirt. Style it with high heeled sandals and wear your hair swept to one side to showcase the open back. Shown here with: Loewe Shoulder bag, Attico Sandals, Jennifer Fisher Earrings.